Since its completion in 2015, this commercial interior design project located in Brossard’s DIX30 district has been a groundbreaking success with the Uniprix Group which holds its events there. 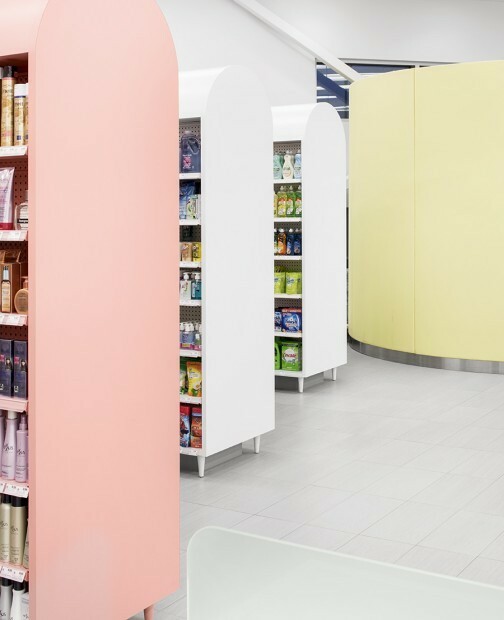 In collaboration with the owner of the Uniprix Kieu Truong pharmacy, we have formulated a new definition of the pharmacy, exploring the notion of empathy between a pharmacist and his customers. The new spatial organization integrates some feng shui principles into the huge 8,100 sq. ft. space, particularly in terms of concentric volumes shaping the laboratory around which one can walk. The furniture and displays of various heights arrangement offer unobstructed views as well; the circulation axes have also been revised. 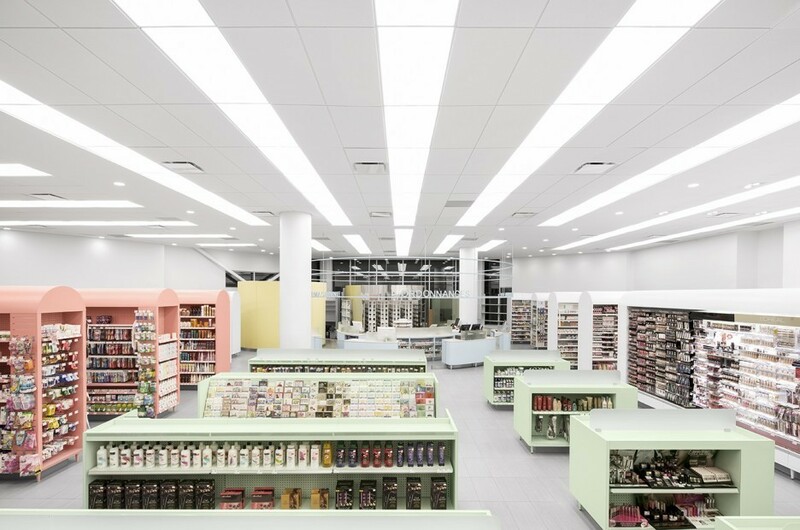 Abundant natural light and pastel colours have something to surprise in a pharmacy. The development of the colouring was a technical challenge, as was the manufacture of the furniture. 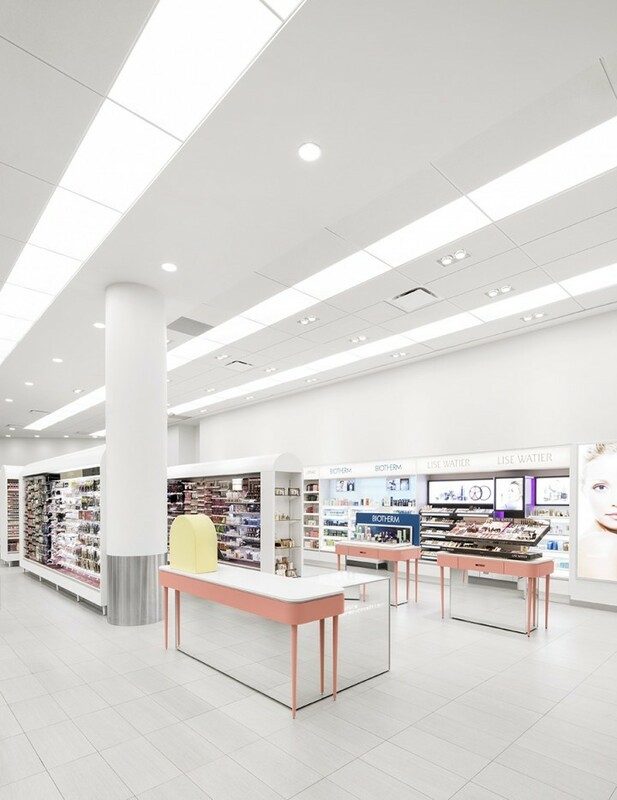 This winner of an interior design award in Montreal, in 2015, reminds us that an improved customer and collective experience is profitable.